The Logic+ Service offering has been designed to provide a perfect collection of OEM services, which allow you to focus on your application and customers, while we take care of the hardware. We have everything covered from prototyping through to active lifecycle management. 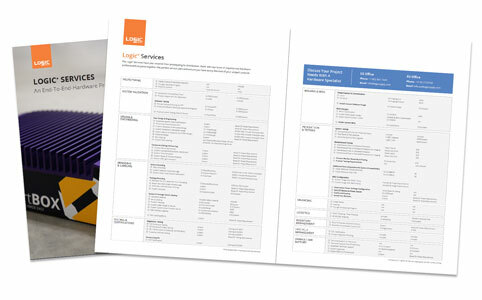 Fill in the form to receive a copy of the Logic+ services menu for easy reference when working on a project.